Well hello December! (Only just!) The final month of the year and the last happy and positive post of 2018! It’s good to see the trend of posting these last minute hasn’t worn off and we all all know I’m only getting around to posting this right now to keep it within the year! I will have a 2018 round-up posted at some point (hopefully in January!) discussing everything that’s happened in the year; the highs and the lows, what I have learnt and my my aims and aspirations for 2019. However before I get around to that, let’s have a look at what December had to offer. I saw my Grandparents again at the start of the month. It was a visit that was a place to relax, to make some big decisions about the new year and to do some Christmas shopping in the many garden centres around the area. I’ve seen them both a lot this year which I am extremely grateful for. It’s funny that in the years when things seemed to be going more smoothly for me and I was quite a lot happier with where life things were going, I hardly saw them. This year I have seen them a lot more regularly. Although I am not quite the same person they have seen in previous years, I will say one good thing about this year is that I have noticed their kindness towards me more than ever. It is my aim to turn my mental health around and show them the same kindness they have shown me. After heading back to London on the train from Nan and Granddad’s I made a quick turn around before heading out to a panel discussion evening as part of HistFest. It was talking about how we portray history in fiction which is something I am hugely passionate about especially considering my ultimate career goal is to be a part of a set/production team working on historical dramas for film and television. The discussion was very interesting and I had a great chat with the author Hallie Rubenhold about creating the world’s of her novels from a set point of view. I also spent a long time talking to Stephen McGann who plays Dr Turner in ‘Call the Midwife’. I basically poured my heart out to him about the show being my dream production to work on and how I WILL work on it some day (even if it is just a days work experience). He was very kind and passionate talking about the use of props etc and seemed very keen to answer my questions. He basically kept talking to me until we were the last two people left in the venue and then had to run for his taxi which was so nice of him. After a few months of feeling like the passion for my aspirations was starting to dwindle, he really did help me to think positively and get excited about it all over again. I had not felt particularly festive until the beginning of this month. Apparently music and lights just were not going to cut it this year (if you know me, you’ll know I have the festive tunes blasting as soon as Bonfire night is over). However, my brother (having just traveled down from Glasgow) and I attended Finn’s Christmas party at his nursery. Finn is my cousin’s little boy and I stayed with them since the beginning of October to try and sort myself out. I have become very close with him over the last few months so it was lovely to see him surrounded by his little nursery friends, meeting ‘Santa’ (who later had to reveal herself as one of the nursery staff to stop a terrified little girl from crying) and singing Christmas songs (we did the singing obviously, he just ate cake). One of the best parts of December has to be going home to my parents as I have been desperate to see them for so long. Going home was not without it’s difficulties though, with my apparent new phobia of flying that seems to have cropped up out of nowhere this year. Once again, I had really bad anxiety about two days before travelling and waiting to board the plane left my mind spinning. I was however a lot more prepared this time having learnt a few tricks. I had taken a herbal anxiety tablet about four hours before take off and have recently paid for the ‘Calm’ app which was great as I had the sleep stories playing in my ears. That, combined with the tablet that makes me pretty tired and an eye mask, I basically zoned out for the entire journey. The plane had little to no turbulence anyway, but I feel a lot better about the experience knowing what works for me. For a really festive experience we went on the Katschberg Advent Wanderweg which is about a half an hour drive from my parents house. The advent walk takes around an hour and half but you will want to stop and marvel at the many light displays, alpine huts and refill your tea flask at each station (which can be purchased at the beginning of the walk). To put yourself in an even more festive mood, there is also the option to take a horse and sleigh for part of the route which was magical. Now that I was home I could really get into the Christmas spirit. When my brother and Dad were out skiing one day, Mum and I decorated the tree. We tried to make it look typically ‘Austrian’; keeping it simple, going for a red/homemade ornaments theme and just used one set of yellow lights rather than going crazy with multi-coloured lights like in previous years. I actually think it looks stunning and brings me so much joy even after Christmas is over and done with. As I am home now I wanted to get back into baking. Not everything turned out how I wanted it (don’t ask about the cinnamon rolls or the first batch of egg whites I attempted to whip for meringue!) However I did manage to make quite a nice ‘Christmas’ Eton Mess and I was possibly a little too proud of my mince pies, but even I couldn’t have predicted how well they managed to turn out! 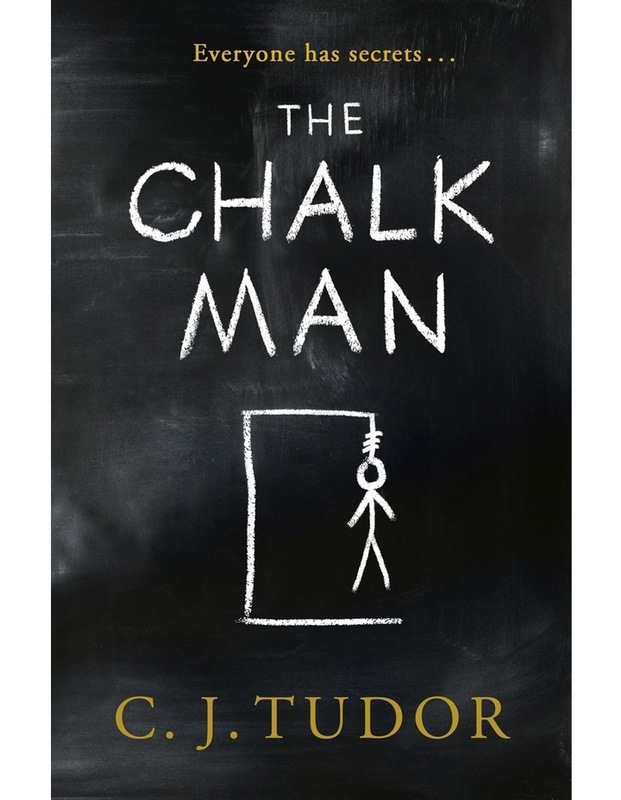 My book recommendation for this month is ‘The Chalk Man’ by C.J.Tudor. The blurb on the copy I had didn’t give much away (although you can find a longer version online), but it was a gripping story that really draws you in. I read it in a matter of days, but often had a chilling feeling whilst reading it, so be ready! Christmas Day was fab! It was quite simple; we did go skiing but Mum and I tried to do a bit too much too soon and attempted a very steep red run which was just terrifying. We did however have a great day playing with the dogs in the snow and had a fine Christmas lunch of goulash and pommes before heading home in the afternoon for presents. It was so nice to just be with my family, see them open the gifts I bought them and tuck into a awesome Christmas dinner in the evening. Bliss! After feeling a bit low about my skiing abilities on Christmas Day, Mum, Dad and I went up the Goldeck mountain, about ten minutes from the house. I spent a lot of time practicing different tips and techniques Dad was showing me to ski properly and to build up my confidence. Slowly but surely I think I started to improve. I still need a lot more practice, but I definitely feel a lot better about getting back out onto the slopes! So that is December in a nutshell. It was always going to to be a great month, but it was more than I hoped for. I don’t know whether I’ll continue to do these happy and positive posts in the New Year. I want to develop the blog a more and what really consider what I write about, so I think these might be something to do privately, perhaps written down and to discuss at the end of 2019. Whether or not I choose to continue these posts of not though, I do hope that this is a reminder that there are at least ten things in a month to be happy and positive about. 2018 has been tough, more so than I have ever known, but without going into detail about the negatives I am particularly proud of keeping these posts going for the last twelve months. There were times I just couldn’t bring myself to write them, or thought I did not have enough to write about, but somehow I always found the energy and always managed to write down ten happy and positive moments in the month. I still might not be anywhere close to being a well established blog, but if you have read any of these posts this year, I just want to say a massive THANK YOU. It does feel pretty good even if just one person reads what I write (Hi Mum! ).